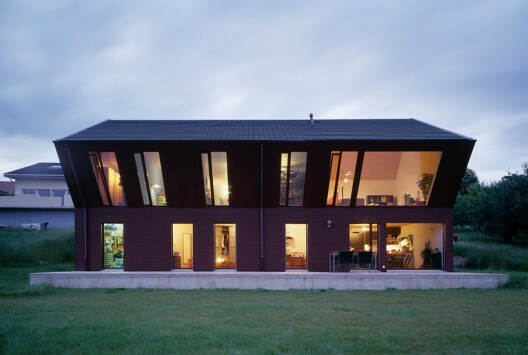 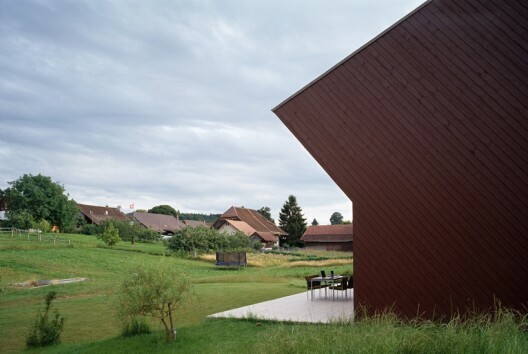 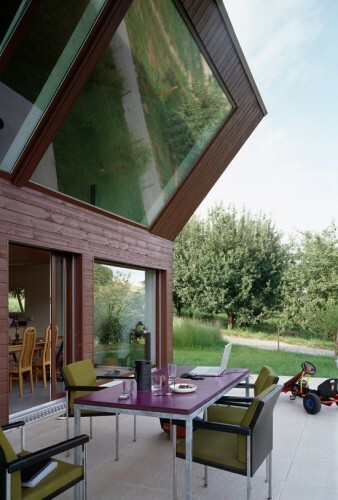 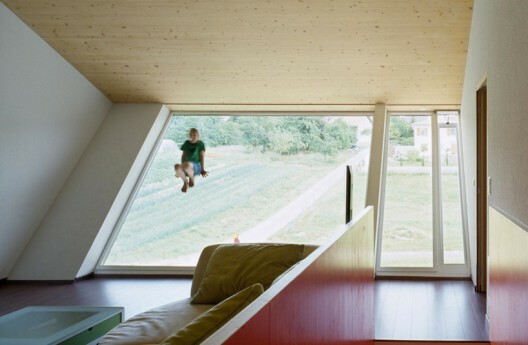 This small suburban residential home located in the countryside of Switzerland. 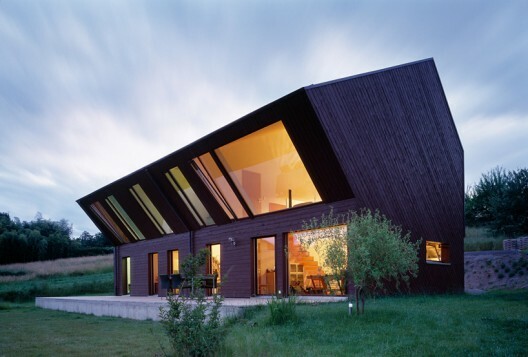 Designed by FOVEA Architects, country cottage makes an unusual impression with a pronounced angular shape of the facade. 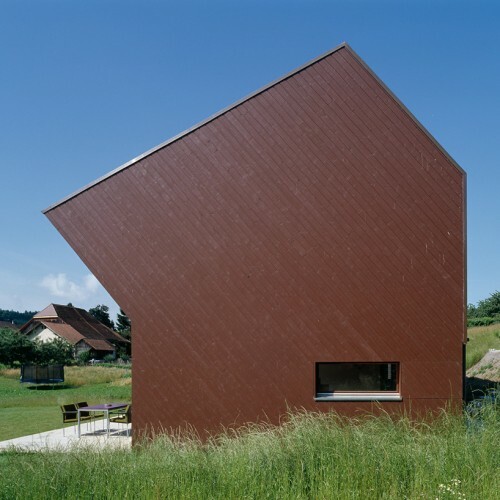 The upper part of the house is tilted at an angle of 40 degrees and the windows facing south, this geometry allows the direct rays of the low winter sun to penetrate freely into the room and at the same time protects the house from excessive heat from the hot summer sun. 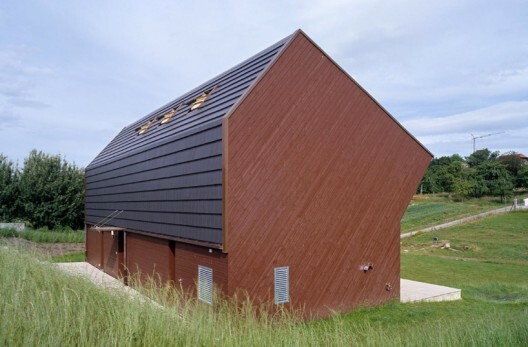 The house was delivered to site in assembled and on site sheathed with pine boards, allowing the cottage to fit harmoniously into the local architecture.